I did not know that skiing was boring. Other than the physical drain of constantly digging yourself out of a snow bank, the sport shouldn’t make you sleepy. 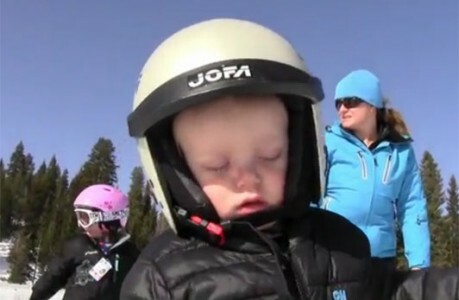 In the following video a young boy falls asleep while still strapped into his skis.